A LITTLE CHALLENGE FOR YOUR PET, SOUNDS INTERESTING?!! The maze structure inside would keep your furry guy working a little longer, he has to overcome some obstacle to earn his final treasure. 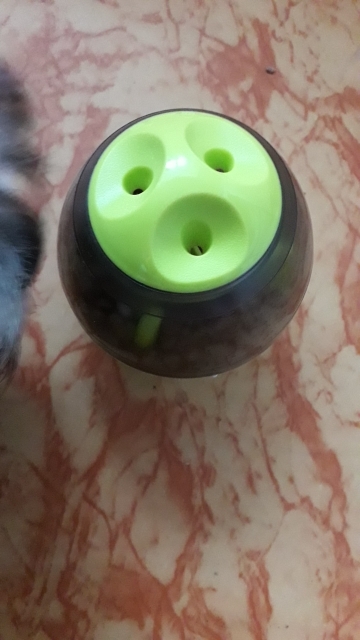 If that’s too difficult, don’t worry, you got this adjustable stopper, turn it to open side and lower the difficulty. 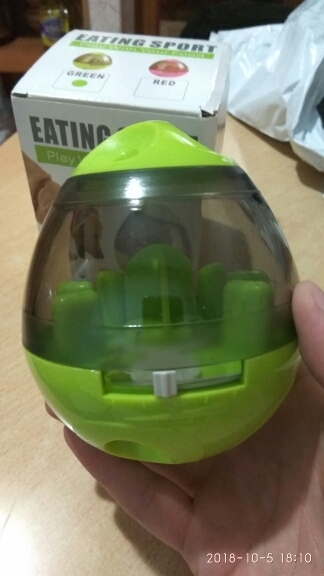 The holes On The Top are specially created so the pet can smell food through them, it sure will get his interest. 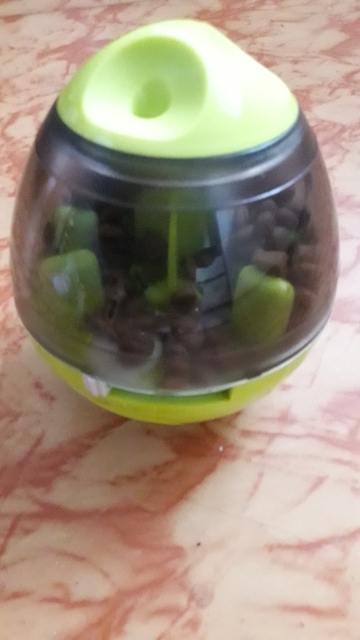 And it’s super-fast to open the cover with a simple switch, then you can refill kibble in it. 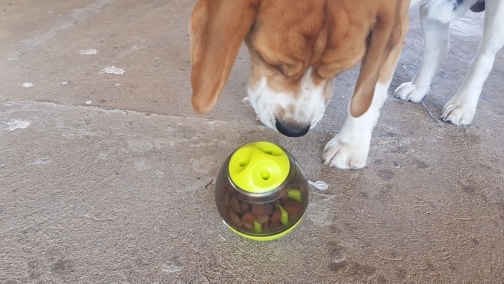 Appropriate Size For All Pets – this pet tumbler toy is made for both cat and dog. 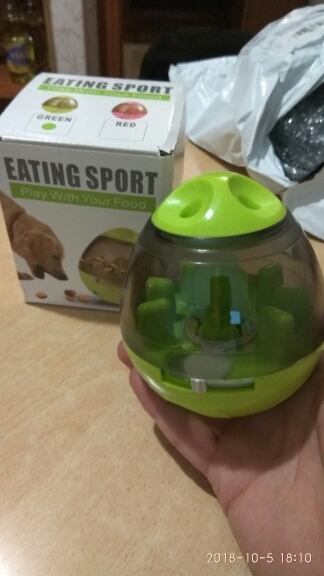 Physical And Mental Healthy – You are not only offering a toy but also a healthy pet solution. 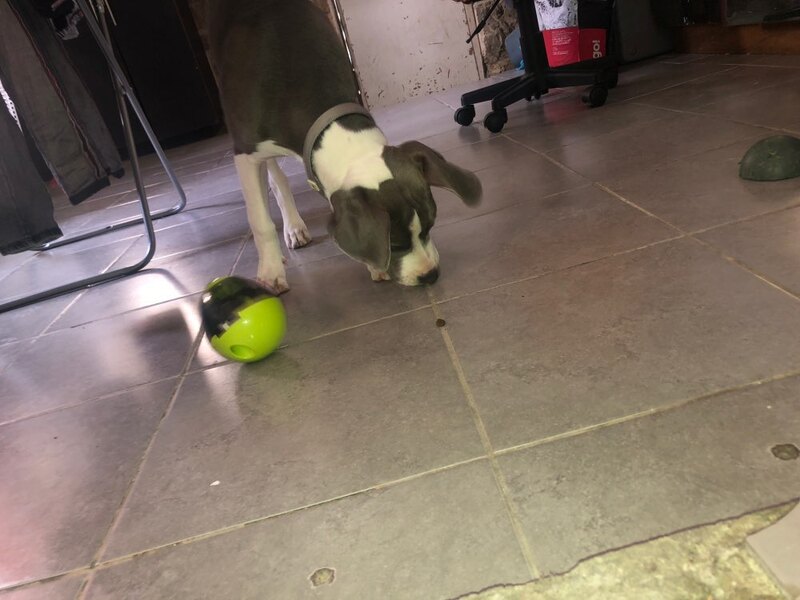 The expert had shown evidence that pets feel more satisfied after have some of their excess mental and physical energy expended during a meal. 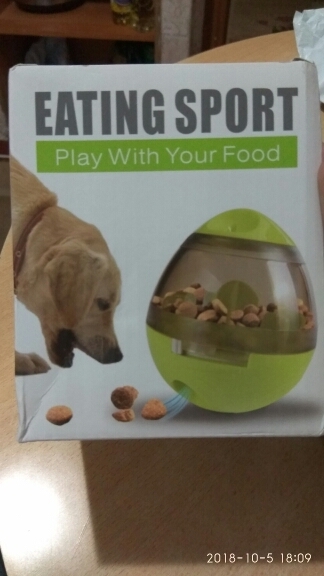 It’s a more natural way of consuming food for pets. Completely Safe Material – Made of food-grade ABS and PC. 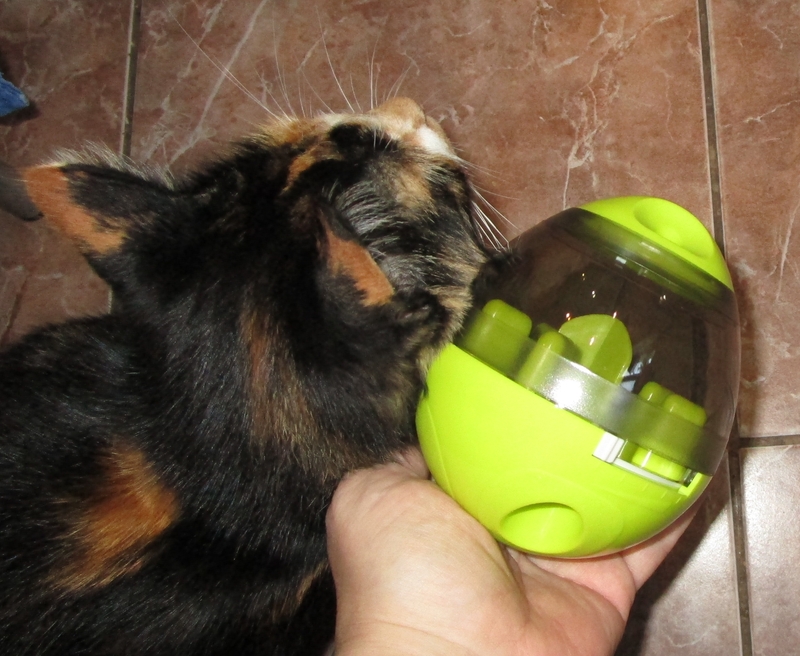 The pet leakage ball is detachable from the middle part, so it’s easier to clean. Brightfull Colors Which Makes It Attractive for pets. Dog love it, pretty small toy Dogs like it very much but to small for him , I thought the size is bigger.